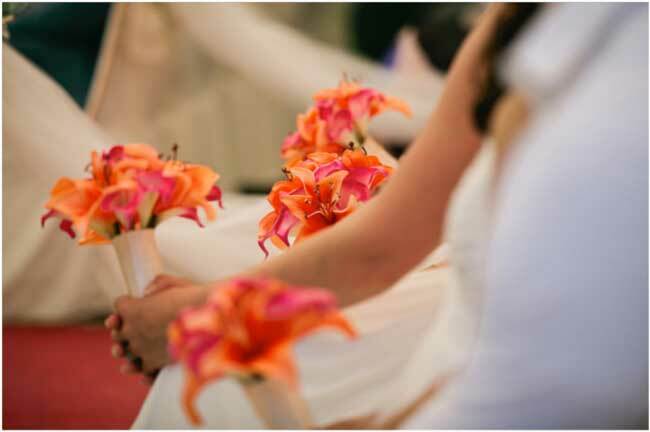 Flowers may be an essential wedding detail but your wedding flowers don’t have to be real to make a big impact. 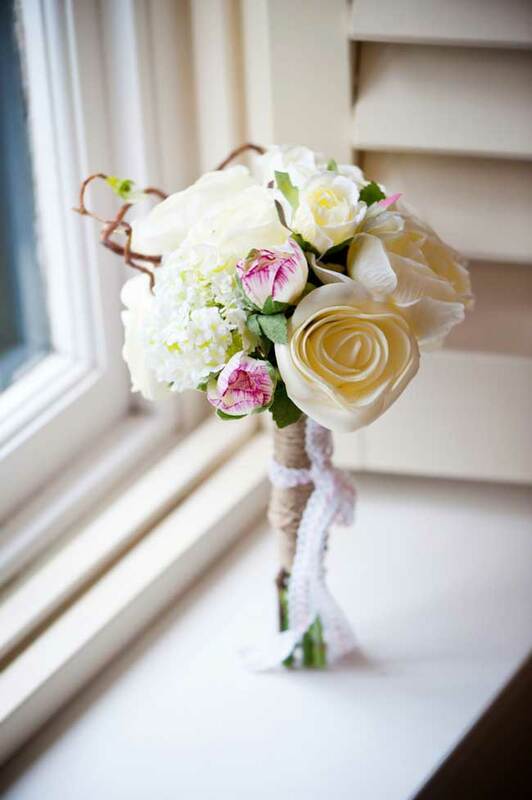 Artificial wedding flowers also mean that you can keep your bouquet, buttonholes and posies forever. 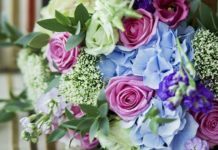 Even the least green-fingered of brides can discover a penchant for florals as they work with their florist to create their bouquets and centrepieces. If you’ve been dreaming of a blush bouquet of barely open peonies but set the date for September, your first thought will be disappointment. Do you really have to give up one dream in favour of another? Use artificial flowers and you don’t have to. 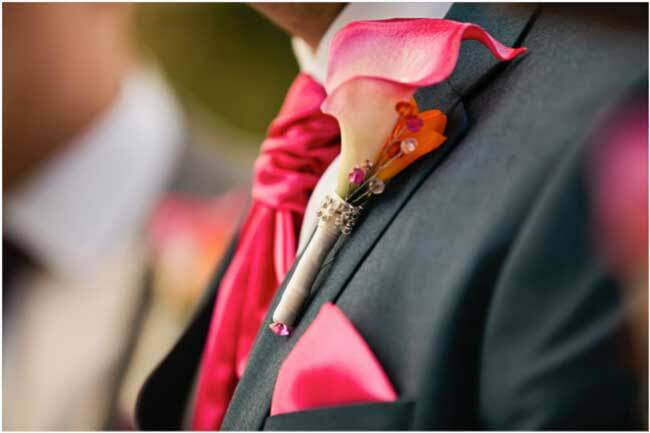 Choose from high quality suppliers for realistic replicas for all of your favourites – whether that’s ranunculus, delphiniums or prized peonies – and you can carry bouquets, wear buttonholes or choose table centres with any blooms at any time of year, allowing you to have your day as you dreamed it while also taking advantage of off-peak dates if you wish. When you’ve got a venue to set up and decorate as well as getting ready on your wedding morning, we’d forgive you for feeling just a little over busy. Give yourself the relaxing morning you deserve by planning and setting up in advance. That’s the beauty of working with artificial flowers – you needn’t worry. Not about them wilting in the warmth of your marquee or the flowers fading and crumpling or even how you’ll find the time to arrange them. They can all be arranged into vases and vessels weeks in advance, making the final few days before the big one much more blissful. 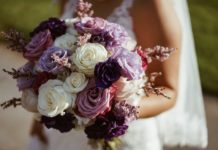 If you choose a fresh flower bouquet and want to keep it after the wedding, you’ll encounter the challenge of preserving the petals and flower heads perfectly. This challenge is only compounded by the fact that you’ll probably be jetting off on honeymoon soon, so there’s very little time to get these kinds of tasks done. With an artificial bouquet, though, you can simply wrap them in protective paper and stow them in a box, forming a lasting memento of your perfect day without half of the fuss. You might have heard of couples gifting their floral centrepieces to family, friends or perhaps members of the bridal party as thank you gifts. It’s a lovely touch, but with faux flowers to gift the present will last so much longer. In general, purchasing artificial flowers usually works out cheaper than buying them fresh from a florist. This means that for some couples, going faux can facilitate far more in the way of flower walls, garlands and canopies, and standout table centres, making all the difference to their overall reception décor. This comes with a caveat though, because nowhere more so than artificial flowers is it important to pay a little more for quality. You get what you pay for, so if you want true to life blooms that your guests will struggle to tell aren’t real, then it’s worth going for the more expensive options for artificial flowers. 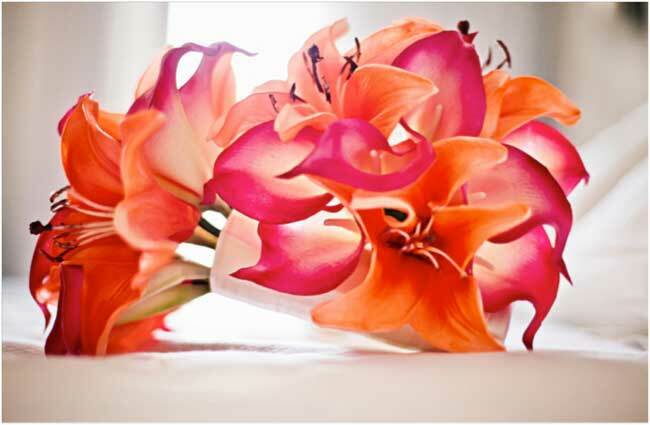 Including artificial flowers needn’t stop you from using any fresh flowers; they’re not mutually exclusive. Some of the most creative of couples and florists will work with a selection of both, most of them doing so to prevent seasonality from limiting flower choices. 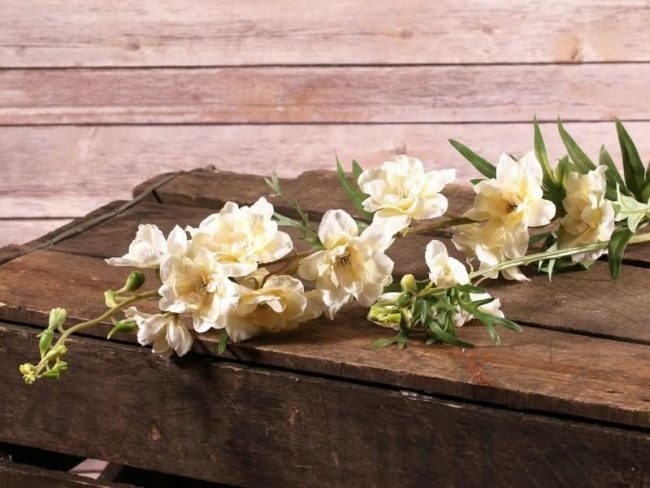 Faux flowers aren’t always exactly as you imagine, either. Paper, silk and other artisan flower choices won’t always be cheaper than using the real thing, given the time and craftsmanship involved in producing them. If you ask us, though, their delicacy and beauty is well worth the investment. 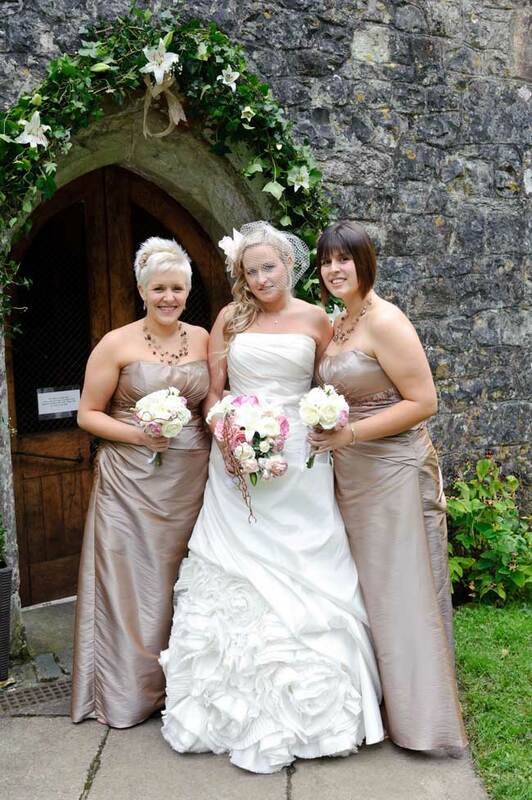 Sian tied the knot with Rhys back in 2011 at St Donat’s Castle in the Vale of Glamorgan. “10 days before the big day, I was contacted by the bridal shop whom I had ordered my dress from to tell me that the dress was not going to be made in time for my wedding. 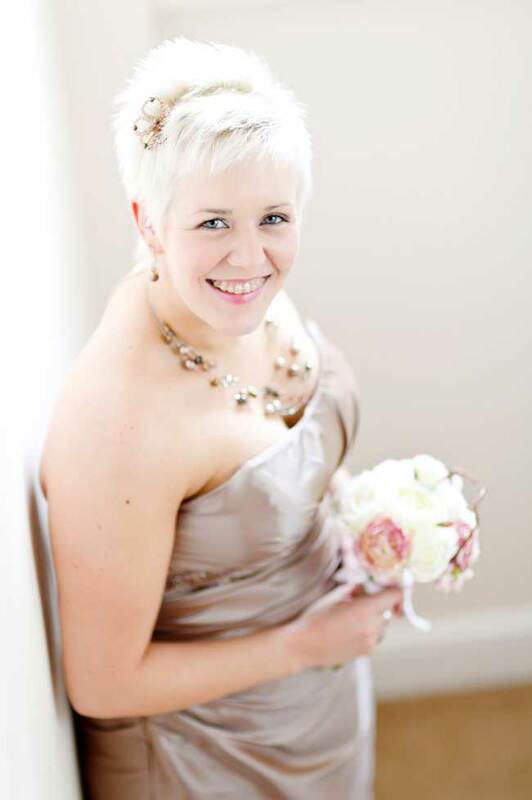 “I’d picked out specific colours for the bouquet to complement the dress which was a honey-pink colour. You can imagine my mood! 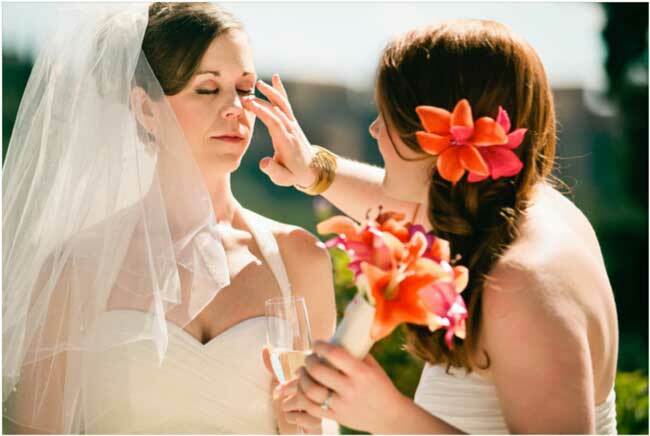 “The ladies in the bridal shop were impressed by the spray and recommended a flower headpiece to go with the outfit, too! 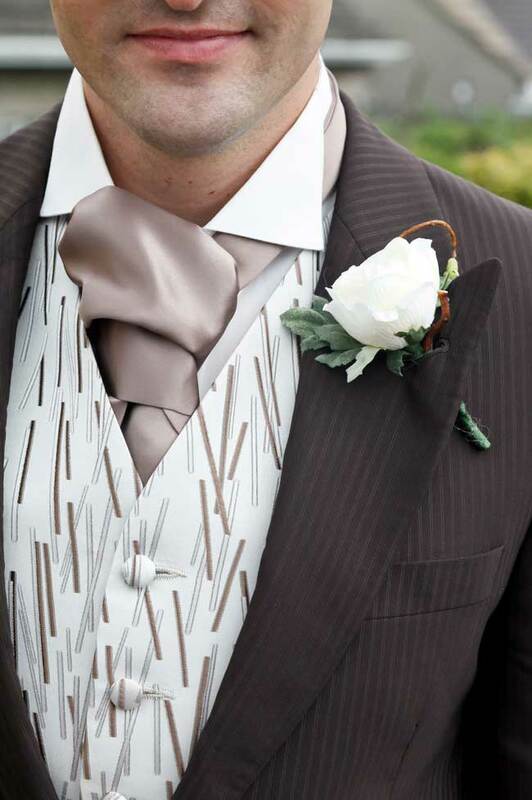 “Regarding the buttonholes, the corsages were a huge hit with my mother and mother-in-law as they were fastened with strong magnets and not safety pins. “I think everyone who took hold of the bouquet(s) were surprised that they were artificial. “My bouquet is now hanging proudly in my newborn daughter’s nursery and will feature in my home decor for some time! 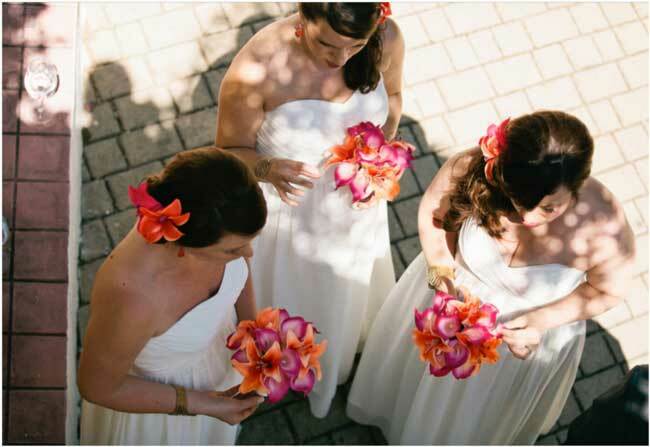 Many brides choose artificial flowers if they’re getting married abroad as a way to beat the heat, which is exactly what real bride Jo did. 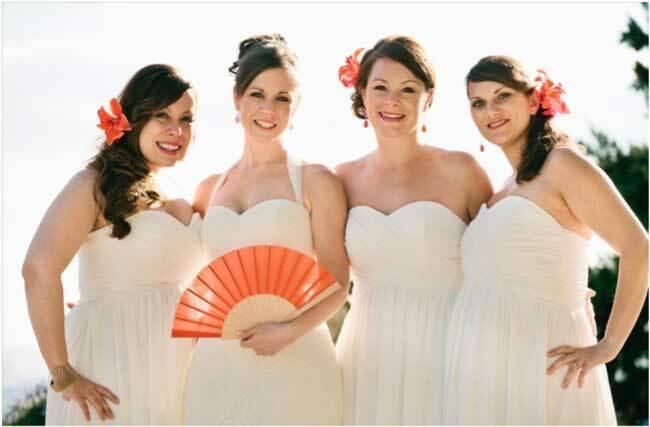 She got married in May 2013 in Granada in Spain and chose a bright and beautiful wedding theme for her day. “We did actually visit a local florist in Granada but were quite limited in choice. After that we knew that Silk Blooms would deliver exactly what we wanted, at an incredible price with the guarantee of excellent customer service. “No one could believe the flowers weren’t real! We actually had to tell guests when they commented on them – and we received an abundance of comments! 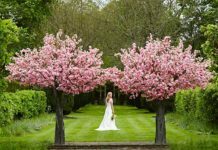 “People loved the colour and style and so many people said that the vibrancy of the bouquets against the bridesmaids’ dresses was exquisite. “The bridesmaid bouquets were taken home and displayed in each of the girls’ houses. We had one going spare (sadly one of the bridesmaids couldn’t make the big day) so that took pride of place on a display unit in our home.